Entropic provide a series of informative and relevant educational presentations in the areas of building ventilation energy performance, comfort, safety and regulatory compliance. 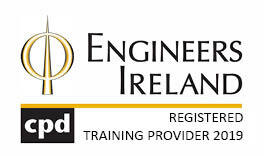 Entropic is recognised by Engineers Ireland as a Registered Training Provider for delivery of Continuous Professional Development (CPD). European Regulation and the law in relation to CE marking of construction products. The law, standards and best practice in relation to fire protection of ventilation systems. The 6 factors controlling thermal comfort, the PMV and PPD, draught rating, asymmetric temperature difference, glare index, design and modelling to guarantee thermal comfort. Displacement and mixing ventilation, natural, mechanical and mixed-mode ventilation, chilled beams and fan coil units, VRF-, VRV- and VAV-based ventilation systems. Improvement of building efficiency through optimised design and correct integration of ventilation system components – air handling units, chillers, ducting, dampers, terminal units and control methods. Finding a balance between energy efficiency, capital investment, industry regulations and comfort. A closer look at comfort, air quality, energy efficiency and regulatory compliance with a focus on some important and common building types. Reducing energy consumption, maintenance costs and the risk of fire. Filtration systems. EcoKitchen and OCEAN for EcoKitchen systems. Swimming pool ventilation requirements, minimising and preventing corrosion, energy optimisation, humidity control. Requirements for hospital ventilation based on HTM 03-01 (specialised ventilation for healthcare premises), HTM 05-02 (fire code), operating theatre ventilation models, HEPA filtration. Air filtration, fan and motor efficiency, specific fan power, heating, and cooling, humidification and dehumidification, energy recovery methods. Factory acceptance testing, assuring performance via Eurovent and EN 1886, HTM air handling unit requirements. Refrigerant use, energy reduction, Energy Efficiency Ratio (EER) and European Seasonal Energy Efficiency Ratio (ESEER), circuits, compressors types, ISO 50001.
requirements for life-critical systems, factory acceptance testing of air handling units, recommended maintenance intervals and procedures.